DOHA: Newly-crowned Asian Cup winners Qatar could play friendlies against Brazil or Uruguay in June ahead of playing in the Copa America, the team’s coach and officials said yesterday. The South American giants are among a list of teams Qatar are trying to secure matches against-others include Colombia, Panama and the USA-ahead of their first Copa America appearance. 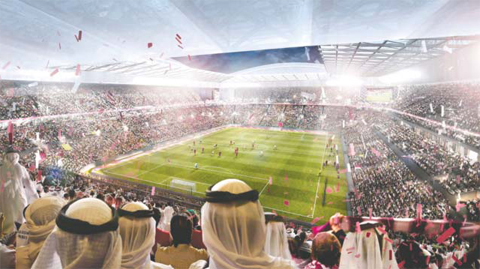 Qatar Football Association (QFA) president Sheikh Hamad Bin Khalifa Bin Ahmed al-Thani said the team’s first friendly would be in early June. “It will be [a team] from South America, we will announce it as soon as possible,” he said. Qatar have been drawn in a group with Argentina, Colombia and Paraguay in the Copa America, which starts on June 15. The 2022 World Cup hosts could also set up a training camp in the United States ahead of the tournament. Qatar’s inclusion in the Copa America-along with that of Japan-initially raised eyebrows but both teams reached the Asian Cup final. Qatar’s victory, notably achieved in the backyard of political rivals United Arab Emirates, would help boost the country’s “football” reputation, said Spaniard Sanchez.